Penwizard is running a super-cool competition with us this week for some personalised Peppa Pig books. I love anything personalised and although I don’t have one of these, children always love having a book that they can relate to with their own name. This article by Emilly Guille-Marrett explains all. Picture books are a great way to prepare children for a first experience, such as starting nursery or going to the doctors. But the potential of personalised children’s books to instil confidence in a child is great – especially when it involves favourite characters. Peppa Pig and Albie Go Swimming! My youngest son, Albie, was about to have his first swimming class without me in the pool. It was by complete coincidence I was invited to review Penwizard’s personalised picture books at the same time. Problem solved! I input his name into their online system and created “Peppa Pig and Albie Go Swimming”. Albie’s response to his gift was delightful. He couldn’t believe that he starred in a book with one of his favourite characters – Peppa Pig. Seeing the book grabbed his attention and we immediately began reading the story together. It didn’t take long for Albie to demonstrate that he really imagined himself swimming with Peppa Pig. This was a great springboard to aid our discussion about learning to swim. And there was plenty of swimming related vocabulary to talk about: armbands, float, dives, kicking and splashing. Albie talked a lot about the fact that he and Peppa Pig liked swimming. He talked about how, in the story, he’d even helped Peppa Pig’s brother George kick his legs. Seeing himself in the story and imagining what he could achieve appeared to build his confidence. And the storyline was sensitively handled too as Peppa Pig’s brother George expressed nervousness about getting in the water. Of course, he then successfully leapt in. One of the things I liked most about the process of creating a personalised picture book was customising it. Before ordering the book on the Penwizard website, I could choose skin, hair and eye colours. And the artwork style and design were identical to the quality found in a Peppa Pig book. All this added to the experience of Albie seeing himself in the story. “It really is me!” he said. I was heartened to see that there were a range of skin tones, hair styles and eye colours to select from. Albie doesn’t wear glasses but I could have clicked a box to include them if he did. According to latest research, there may have been other benefits to me reading a personalised story book with Albie. 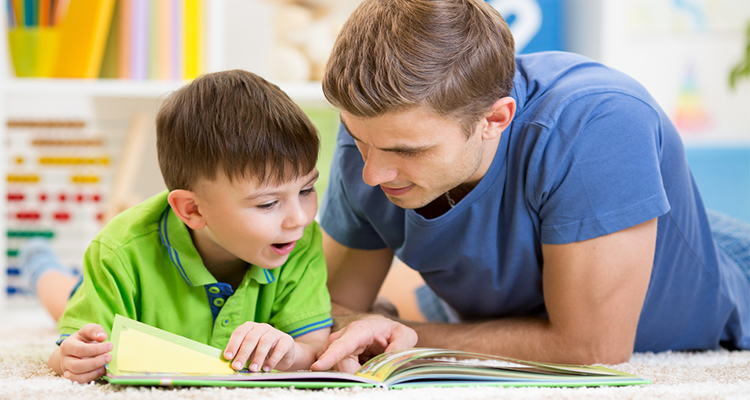 When shared with an adult, personalised stories have been proven to have a positive impact on children’s speech. You can read more about this on the Book Trust website. We are yet to realise the full potential of quality personalised picture books to prepare young children for first experiences – especially those involving favourite characters. Whilst I’m not convinced every type of picture book should be personalised, if there is a purpose to the reading experience and the quality is excellent, then it is a new category of picture book that should be valued. “Peppa Pig and Albie Go Swimming” worked brilliantly to help me prepare my son for his big day. It has certainly got me thinking about what features make a good personalised picture book. Other first experiences from Penwizard, which feature the nation’s favourite pig include: “Your child and Peppa Go to Playgroup” and “Peppa Goes to Your child’s Party”. I hope there will be some more. By Emily Guille-Marrett from Reading Fairy Ltd.
My Baba are giving away THREE personalised Peppa Pig books courtesy of Penwizard. Click here to enter! To order your own Penwizard book, click here to visit their website. Does My Child Have Special Educational Needs? Emily Guille-Marrett has over 12 years experience publishing books to help children learn to read for leading publishing houses including: Pearson Education, Penguin Children's Books (Ladybird) and Oxford University Press. She has worked with leading literacy consultants and children's authors. Reading Fairy helps children learn how to read and love books from birth. Classes for 0-5s, bespoke events and parent workshops run in Kent and London. Visit Reading Fairy to find out more: http://readingfairy.com.